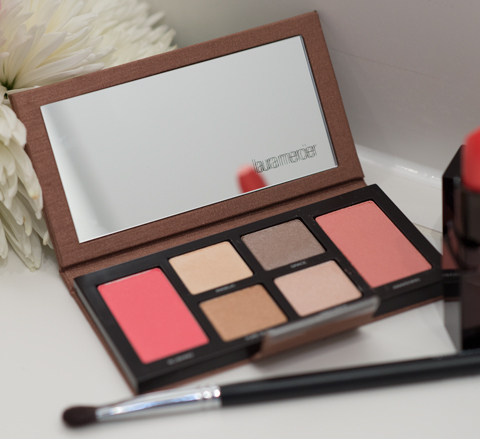 After a crazy run about town I managed to spy (and buy) Laura Mercier's Limited Edition brightly coloured baked eyeshadow quad, Summer in St.Tropez. This is so pretty and seemed to be selling out quick and some lipsticks were already out of stock and I may have snagged the last of the eye shadows! You can apply the colours wet or dry to create a stunning evening summer look, make sure you build the colour gradually for desired intensity. 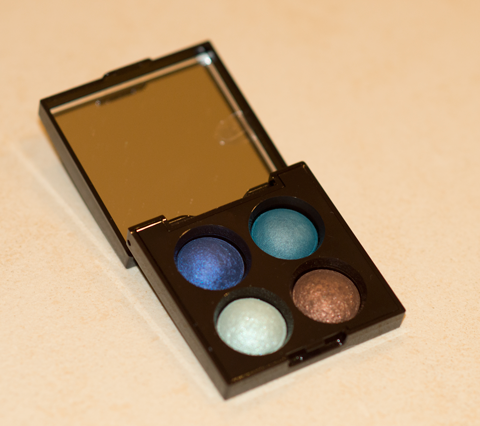 A great opportunity to use eyeshadow shields to protect your under eye base. There is another quad available called Rendez Vous in Monte Carlo which was unfortunately out of stock at Space NK which was based on a dark blueberry shade, which could make a smokier effect if you prefer that look instead of the cobalt and bright teal shades. I hope you have some lovely plans for the bank holiday, but if you have a minute or two please take the time to peruse over these great products. The Laura Mercier Creme Smooth lipstick in Palm Beach, I discussed in my previous post May Spring Beauty Haul so take a look at that too. I have to admit that I go mad with my perfume. I use too much and go through them at a rate of knots, so I am constantly having to buy a new bottle which is an annoying and expensive habit! This is one of my favourites. 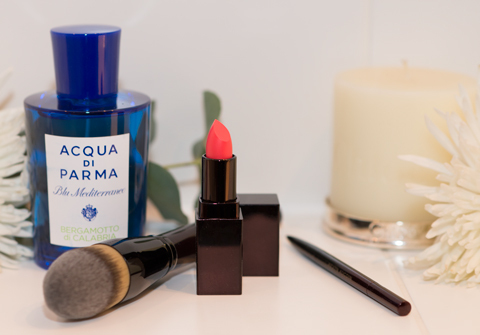 Attractive already with the beautiful blue packaging that's reminiscent of Aegean sea, Blue Mediterraneo, Bergamotto di Calabria by Aqua Di Parma is gorgeous. Although it has a strong and intense fragrance which you would expect from a bergamot based scent, it is long lasting and still suitable for summer as it is off-set by the citron elements. It has a floral scent but will suit those of us who like a little spiciness, with red ginger and cedar wood and the complementary base notes of vetiver, musk and benzion. If this particular smell doesn't float your boat, they have other scents in the range you may prefer. Now, I really like this brush by Kevyn Aucoin Foundation brush and I feel its worth the rather hefty price point! The soft brush head ensures smooth blending of your foundation giving your makeup base full coverage. 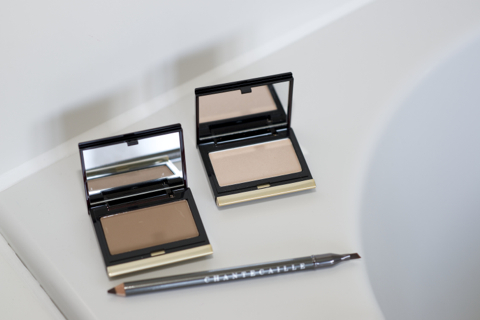 As I have mentioned before I have mixed views on Kevyn Aucoin products. The Precision Brow Pencil which I used in Brunette, comes in three other shades - Ash Blonde, Warm blond and Basic Brown. The pencil tip is very firm which is great for precise strokes, but I found if you pressed a little too hard or twist the end to far out it will snap off which is wasteful. On the flip side of this it is great for light feathery strokes and filling in gaps which allows you to build up the colour of your brows gradually and the lighter shades that are available are great for blondes too. I am writing this as an opinion post as it's Sunday and hopefully readers will have some free-time to engage in something a little different, as I like to mix things up now and again. This article was written a while ago after reading a piece in a well known fashion magazine on the prejudice imposed on single women by women in couples, or to borrow from Bridget Jones 'Smug Marrieds'. 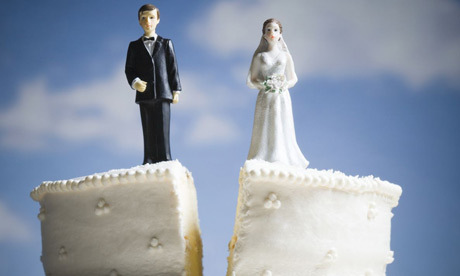 It got me debating with my partner the full implications of another social pariah, 'the young divorcee'. The 'young divorcee' in particular can be even more vulnerable, going from being invited to dinner parties and fun nights out to 'let's meet up for coffee next week' only to receive at the last minute, a very tepid text 'Sorry can't do Wed, somethings come up'. Yes, something has come up and I call it the 'Divorcee Disease'. Now I have seen a few BFFs gradually retreat for the hills from the 'Friend That Got Divorced', who seem to believe that close, regular contact will result in contracting said disease therefore feeling threatened and worrying about the preservation of their own marriages. The young divorcee soon learns of this fear from social networking sites, where said BFFs post their status 'Wonderful dinner with Charlotte and Mike, Rich and Kelly. Great food, great friends'. Well, said 'Friend That Got Divorced' realises she is no longer dinner party material and BFF couples learn quickly to evolve into the 'friend' that drops in occasionally then fade into the acquaintance that texts "Must catch up soon, it's been ages...". My point is that 'coupledom' shouldn't make your friends whom you have known since school and have shared many important life experiences together fear your presence now you are divorced and start acting as if they are terrified that they are about to have their husband stolen away from them. Perhaps they envisage that their young newly divorced friend will somehow bewitch their man and make a new and exciting couple, resulting in them being the 'placeless friend' who is left with financial burdens and the kids? 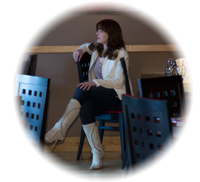 Here is the real truth of the divorced friend. She already feels like a failure, an outcast, who only needs a hug occasionally and the support of her friends and to feel included. Men, well they are definitely not on her list, so please don't try to compartmentalise your friends just because they have changed their relationship status. Divorce is not something you contract, it is just a sad fact of life. 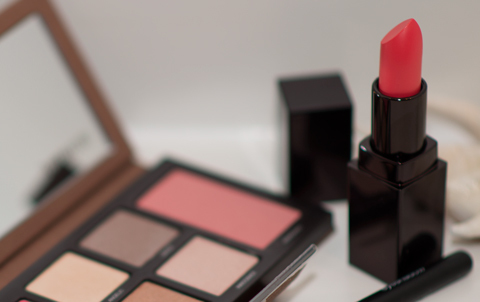 How great it is to get all the spring runway makeup colours in one or two compact products. 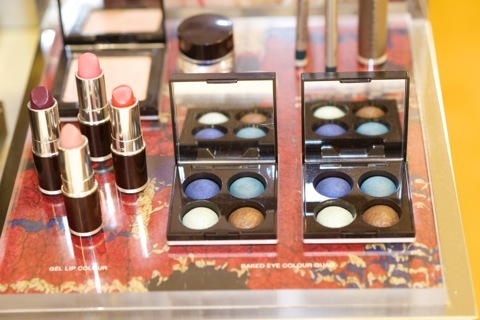 This is what makes Laura Mercia Enlightenment Eye and Cheek pallet so appealing. 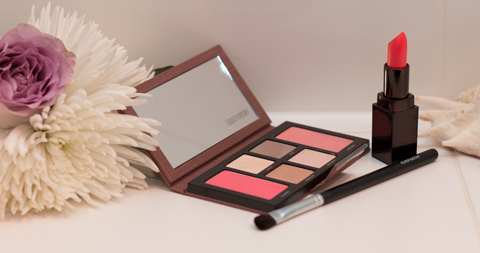 A limited edition product, the palette contains four neutral eyeshadows with a slight shimmer and two stunning peach based blushers to complete the look. When applying the eyeshadow, use the eye colour brush (shown). Apply the lighter colours and sweep them from lash line to brow, all over the eyelid. Then blend well ready to hold the next set of colour. To apply the mid-toned eyeshadow shades, use a crease brush and begin at the lash line then end half way up towards the crease of your eye. When applying the cheek colour, carefully use the flat side of your blusher brush and sweep lightly onto the cheek, starting at the top of the cheekbone and brush downward toward the apple of the cheek in a round semi-circle shape. The shimmer is so subtle it will suit all skin types and women of all ages. The packaging is beautiful and travel-friendly! I know, I know... more product reviews, but I refuse to waste my photographs! There will be much more substantial content coming up in my posts in the near future, especially as my last essay deadline for my Masters will have passed. Kevyn Aucoin is a product line I have found in my experience, is an absolute hit or a total miss. The Sculpting Powder and Celestial Powder - Candlelight are new for the range and the Sculpting Powder is designed to contour and define the face to make the most of your natural features. Use it on your temples, jawline or anything else you wish to draw attention to. Now I imagine that the typical consumer would be most comfortable using it to enhance the cheek bones, but I would suggest you use it sparingly and with caution in all areas, although the powder does what it says on the box! Now the Celestial Powder - Candlelight I use much more often as a highlighter on the cheek just under the eye and perhaps a dash in a few other areas, as it gives the skin a luminous glow without looking glittery. You can also use it on the decollete area and I would definitely recommend it for all skin types. The pencil I love! 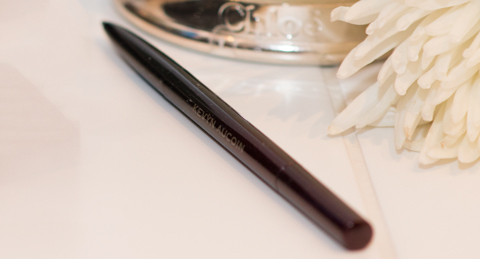 It is Chantecaille Gel Liner Pencil in Espresso, it extremely soft and is available in three other colours - Jet, Hematite and Bronze. This eyeliner has an angled brush to help you define your lash line and it can also be used to blend and you can create the perfect smokey eye. It also claims to be waterproof and to last without smudging for up to six hours! 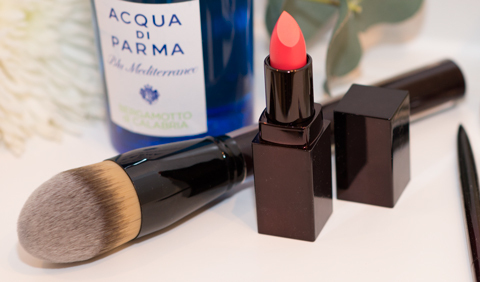 The soft, velvety texture makes it easy to use, but I haven't tested its waterproof abilities, although it will be going in my makeup bag for my summer holiday this year!